Lose yourself among the sweet hills and aromas of the vineyards in the Italian part of Switzerland. Merlot has been cultivated in Ticino for more than a hundred years, and that’s a fact you can taste! The wine roads are thematic routes that will take you to explore the wineries and vineyards spread across the canton, passing through ancient villages, rural traditions, landscapes and architectural charm. The wine-cellars are full of labels of excellent quality. 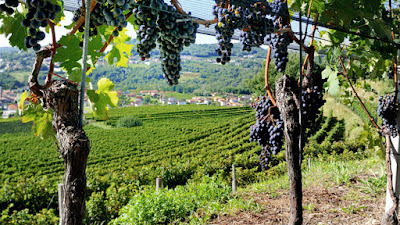 Mendrisio is home to several renowned wine producers: the Cantina Sociale, the wine purveyors Guido Brivio and Gialdi. The wine cellars at the foot of Monte Generoso, in the shadow of mighty trees, are vented naturally by a continual flow of fresh air; ideal for storing wine. Some of the cellars are still used for storing wine, while others have been converted to grottos. Visits and wine tasting in a wine cellar are possible every Saturday morning. The Cantinas open their doors for guided tours and wine tasting upon appointment. Please call +41 (0)91 641 30 50 up to Friday 11 a.m.